Is Flynn in? Mike Flynn was spotted taking his seat at the presser. Trump only called on friendly media outlets at the (a local Sinclair affiliate and The Daily Caller), successfully avoiding any questions about Flynn's job status. 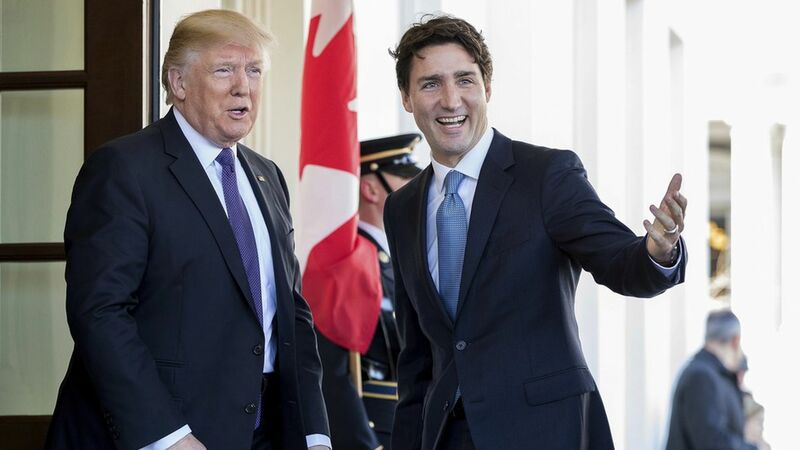 Key points of agreement between both leaders: Greater infrastructure investment, a joint council to benefit women entrepreneurs in North America, and a fight against opioids crossing the border. Trump: "We share much more than a border, we share the same values...America is deeply fortunate to have a neighbor like Canada." Trudeau: "Relationships between neighbors are pretty complex — and we won't always agree on everything." Trump: "It's a much less severe situation than what's taking place on the southern border." Trudeau: "We know that by working together — by ensuring the continued integration of our two economies — we will be continuing to create good opportunities for the middle class." Trump: "We want to have to have a big beautiful, open door, but we cannot have the wrong people come in." Trudeau: "The last thing Canadians expect is for me to come down and lecture another country on how they choose to govern themselves."